Skip Hop Baby Soother Just $26.37! Down From $44! PLUS FREE Shipping! You are here: Home / Great Deals / Amazon Deals / Skip Hop Baby Soother Just $26.37! Down From $44! PLUS FREE Shipping! Head over to Amazon to score this Skip Hop Baby Soother for just $26.37 down from $44 PLUS FREE shipping! 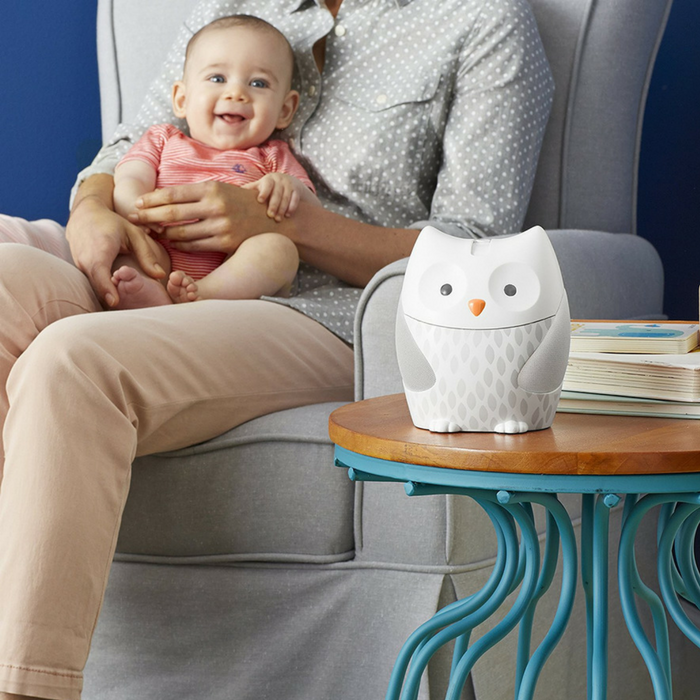 With plug-in power, our decor-driven owl offers multiple ways to soothe baby, including music, lights and projection. Our stylish feathered friend is a natural fit for the modern nursery. Featuring a dimmable nightlight belly that emits a warm glow, it soothes baby with eight gentle melodies and calming nature sounds. An adjustable pivot lens projects a starry nightscape onto any surface so little one can see the luminous sky from his or her favorite sleeping position. Just choose the light and sound combination that’s right for your baby and our wise owl will do the rest.